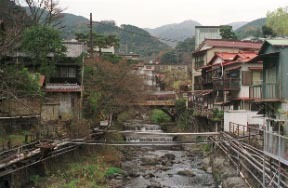 It is a flow Chitose river about a Ryokan town. 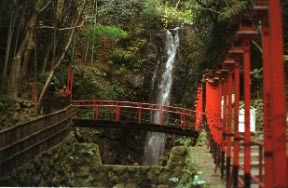 It is Manazuru to a good location to see and a left hand about the Shiroyama picnic land to the Sagami bay. 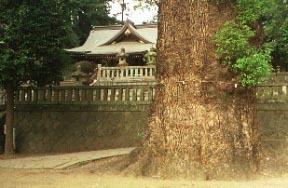 It is big tree [ of a juniper ], and presumed age-of-a-tree 800 years to Jyougan-ji Yamato and a right hand. 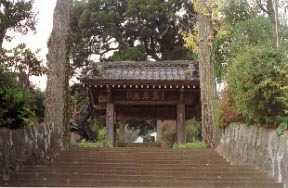 For it being, it is [ the big tree of 5 place shrines and Kusunoki, for prefectural roads, or ] a waterfall of the "Kusunoki of racious deity" immobility. 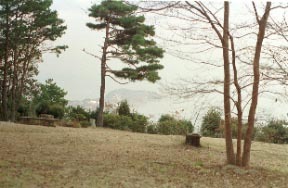 Ashiro-cho, an APPI Heights, the Sailer ski slope.